What an experience. I travelled to Perth WA, last week June 30 to July 3 for the The AIPP Nikon Event to present “Transforming a negative to a positive – Men’s Shed Photography Project – Personal projects and their importance to an artist’s wellbeing” – a mixed bag of thoughts and musings about mental health, doing stuff that you love and giving back to the community. The four day event was truly awesome and honestly the best I’d ever been to. Every year at The Event there is a charity print auction. This years charity was Beyond Blue. As an Ambassador for Beyond Blue I was quite honoured to be one of the last keynote speakers for this event. 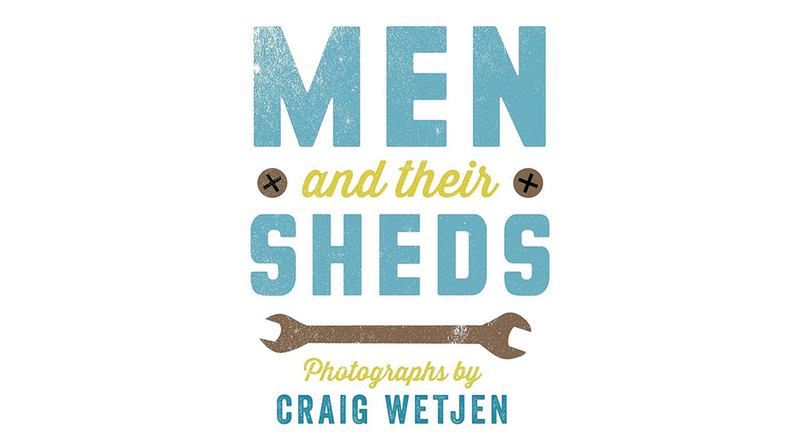 Although not speaking directly as an Ambassador for Beyond Blue, my topic was quite relevant on the importance of personal wellbeing and my project Mens Shed Photography. At the gala dinner on the Wednesday night the charity auction started with a single print by photographer James Simmons which was auctioned off at $10,000. What a great start! I was honoured when the print I entered into the auction, the first shed photograph I took for this project (my father in law Gordon) went for $1,900. The evening raised a phenomenal amount of $58,000 for Beyond Blue. I went on to sell a second print of the same image that night for $1,500. I met a lovely lady that evening (and before you say anything – it was all above board and purely coincidental that her name was Jo like my wife’s lol). I met Jo several years ago at the Sydney AIPP APPA awards and she’s a lovely lady. She asked me what my plans were prior to leaving Perth, and would it be possible to photograph her dad for the book before I left? Of course! Seize the moment right?! Up at 5am the next morning and on the road bright and early for an hours drive, a wonderfully warm welcome upon arrival. A heart warming chat and a shed photographed for the book squeezed in and a cooked breakfast by Jo’s dad before I went home to Melbourne on an 11:30am flight that day.